Fast-growing, evergreen tree, up to 25m high. Deeply furrowed, corky bark, slightly drooping branchlets. Blooms from September to January. 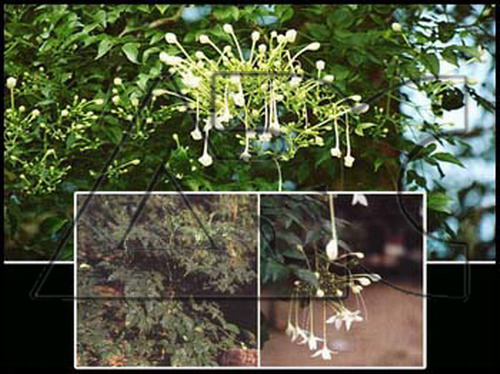 Provides dappled shade; ideal for under-plantings. Dried flowers may be smoked for treatment of asthma.